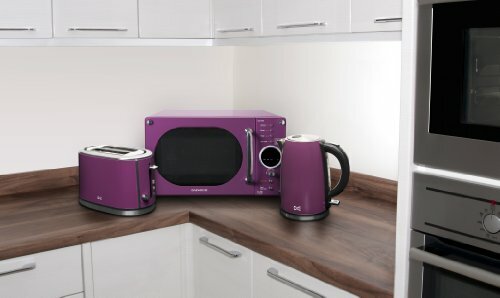 The cordless 3000w Daewoo DSK7A3P Purple kettle is a sleek & stylish addition to anyone looking to add to their kitchen with out breaking the bank. 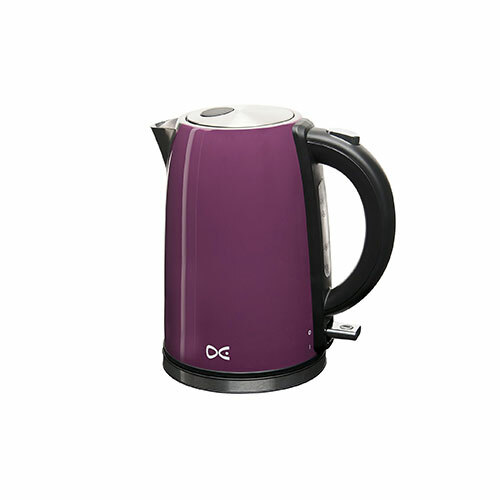 The kettle has a capacity of 1.7 litres and a water level indicator for ease of use. 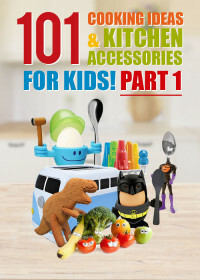 It also has a 360 degree non slip base and a removable washable limescale filter for easy cleaning. The helpful LED indicator shows when the kettle is in operation. 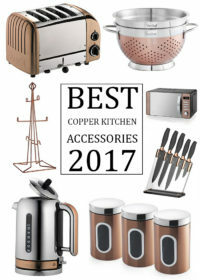 Other features of the rapid boil kettle are a concealed heating element and Auto-open lid mechanism. 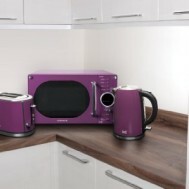 All in all the kettle is stylish and well designed, good for everyday use in the kitchen and has a matching toaster & microwave. You can buy this set here.